Restorative Exercise for every body. I'm committed to the active life, one that includes the real possibility of moving with ease, strength and balance every day in all I do, throughout the rest of my life. I want to keep moving as I grow older. And I'm willing to do what it takes to support that desire. In my 60s, I'm an avid whitewater raft guide, I hike and backpack the Sierra and walk daily, covering long distances in minimal shoes and barefoot. I practice what I teach. This is my left knee after surgery in 2014. 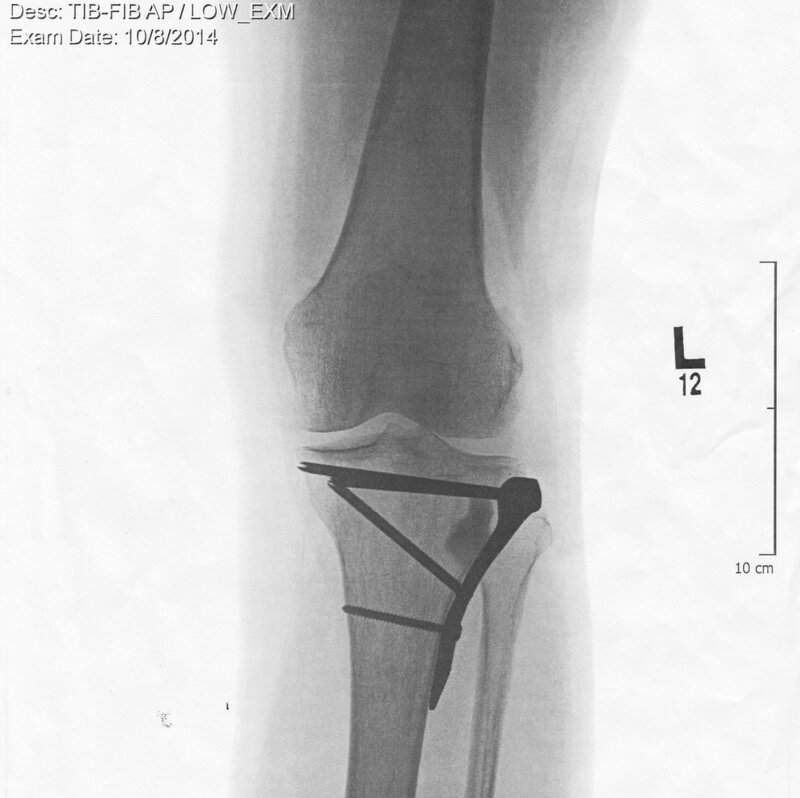 I crushed and broke my tibia in a rafting accident. It just happened. Nobody and nothing to blame. I had a great surgeon and a wonderful physical therapist, yet months later, I was still experiencing pain, weakness and imbalance. A friend recommended Katy Bowman's book, "Move Your DNA". As I read her philosophy and approach to movement, I realized I would do well to study her method for whole body health. As a result of being on crutches, not being able to use my left leg for several months, over-using my right leg in poor alignment, I developed plantar fasciitis in my right foot. Katy Bowman had a "movement prescription" for that. It's the same corrective exercise that I teach all my clients on the very first day. The Calf Stretch works to lengthen the muscles in the backs of the legs, which are shortened due to the ways we sit most of the day, as well as the shoes we wear. Calf Stretch, along with adjusting my stance allowed me to redistribute the weight of my body in a way that strengthened my legs and supported my spine. Within three months, I was free of plantar fasciitis. Not long after I was walking again on both legs, I began my transition to minimal shoes. After a another year or so, I was often walking barefoot with ease, no matter the terrain. Now, I'm moving better than ever. I recently retired from a satisfying, 38-year-long career as a public radio journalist. For more than a decade, I've been practicing and teaching Tai Chi and Qi Gong at Body Balance Academy in Grass Valley, CA. In 2018, I completed my training as a Nutritious Movement® certified Restorative Exercise Specialist. This movement coaching practice offers everything I learned in that training, along with my extensive teaching experience, to what I'm calling Your Movement Project. Your movement goals may be different than mine. Learning Restorative Exercise is a good step towards better movement habits that can change your life. Like many changes, it's simple, but not easy. Let's do it together. Want more flexibility, strength and balance? Try Restorative Exercise. Follow @YourMovementProject on Instagram for ideas, tips and stories.